In conjunction with management software such as the LANCOM Management Cloud, SDN is setting new standards in terms of scalability and automation of IT infrastructures. 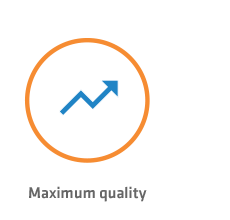 See for yourself how hyper-integrated technology simplifies and accelerates your network management. Manually setting up and rolling out an extensive network structure is tedious and error prone. Not any more. State-of-the-art and future-proof network orchestration uses software-defined networking technology to set up IT infrastructures more precisely, with automated processes providing the faster and more efficient management of entire workflows. 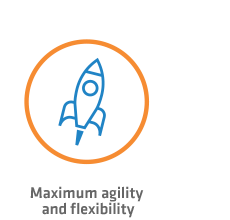 The SDN solutions from LANCOM Systems allow you to implement comprehensive network designs even before the rollout—while taking all of the devices on your network into account! Minimize effort and error density, increase visibility and transparency. 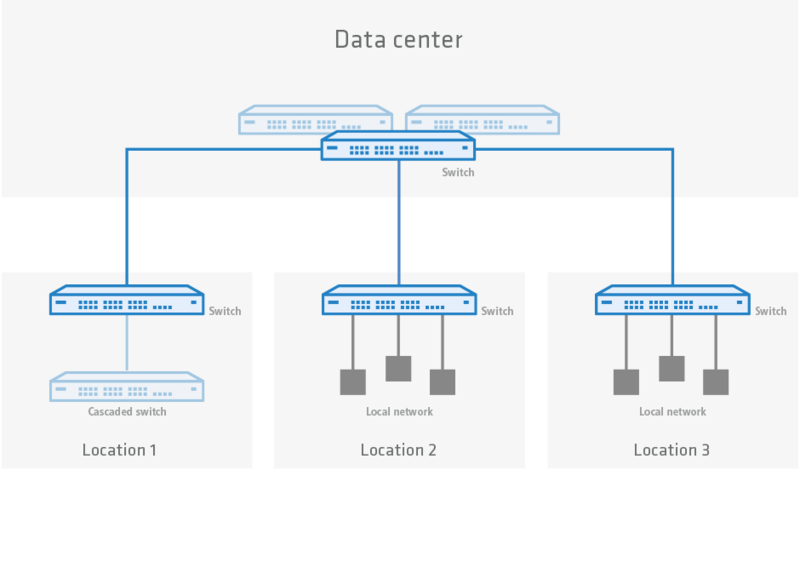 Along with the generic term SDN, we will briefly describe the technology’s sub-categories SD-WAN, SD-LAN and SD-WLAN, and point out the differences between them. 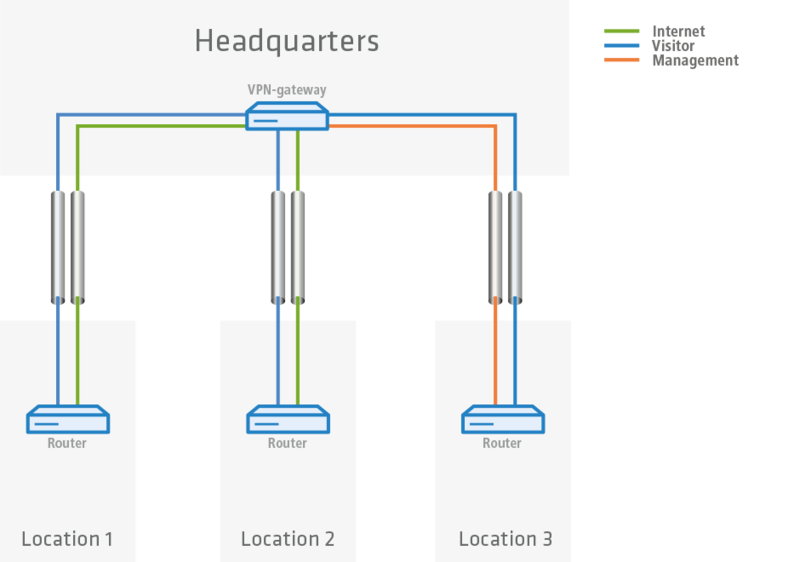 Software-defined wide area networks (SD-WANs), an element of SDN technology, enable the installation of secure IPsec VPN connections between different remote sites with a few clicks of the mouse. The entire configuration is automated—for savings in time and costs. 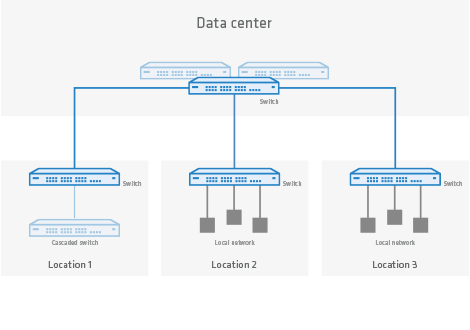 SD-LAN (software-defined local area network) enables multi-site switch configurations and user-friendly monitoring. 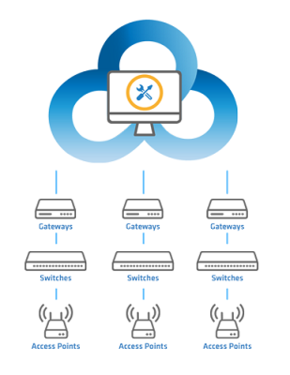 With just a few mouse clicks, central components such as the switches, access points, and routers are synchronized and configured in one go. This form of network administration massively speeds up and simplifies network setup and updates. 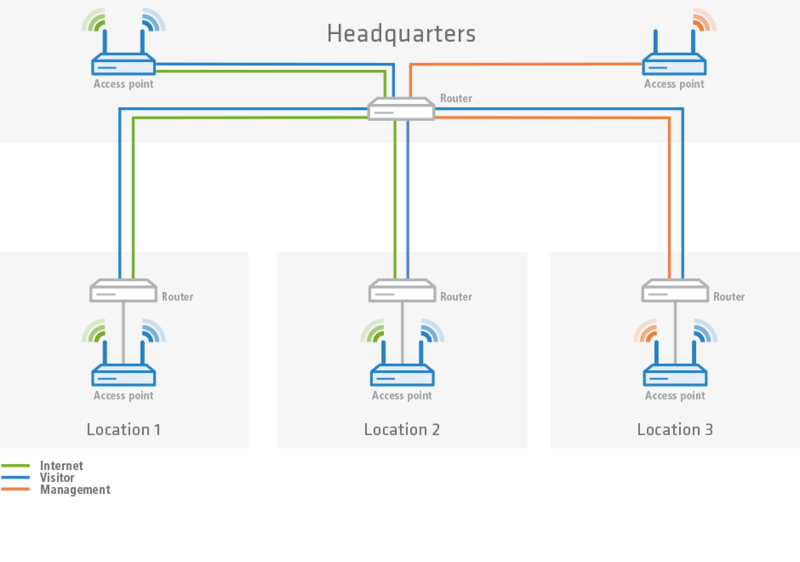 Software-defined wireless local area networking (SD-WLAN) uses the advantages of virtualization for the efficient design and deployment of Wi-Fi scenarios. The automatic configuration handles several WLANs, including, for example, the network isolation of hotspots. All that needs to be specified here is the SSID authentication method and, if required, any bandwidth restrictions for the individual WLANs. 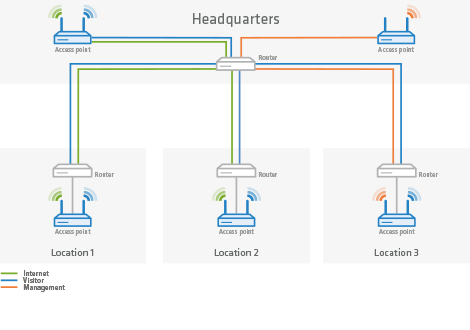 The Wi-Fi profiles created in this way can be applied to any number of access points and Wi-Fi routers at the desired locations. Learn everything about the Management Cloud and software-defined networking and its resulting benefits in our whitepaper Cloud-Management & Software-defined Networking. Thanks to the SDN technology our management is fully hyper-integrated and efficient. Find out more about the benefits and what it means for your network management on our LANCOM Management Cloud product page.